Chives are best known to promote digestive health. The herb contain high levels of allyl sulfides and other organic compounds that alleviate digestive discomfort. Chives also have anti-bacterial properties that rid the digestive system of a large number of fungi, yeast and bacteria, including 30 strains of salmonella. Chives are also known to promote nutrient uptake in the gut, which ensures that the body gains as much nutrients as it can get from food sources. In addition, chives are an excellent source of dietary fiber and roughage that help cleanse the intestines and colon. This prevents constipation, diverticular disorders, and hemorrhoids. Chives are also packed with essential minerals — such as zinc, magnesium, and copper as well as potassium, phosphorus, calcium, and iron — that aid in digestion. The herb is also well-known for its anti-cancer properties. 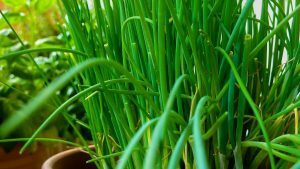 A number of preliminary studies have shown that the high quercetin content in chives may show potential in preventing breast, prostate, colon, lung, and ovarian cancers. Powerful antioxidants such as vitamin C and vitamin K are also found to reduce the levels of free radicals in the body. Zeaxanthin and lutein, two other antioxidants found in chives, are also touted to reduce the risk of oral cancer. Just like other allium vegetables, chives are known to reduce the risk of heart diseases. Chives are packed with allicin, a compound that helps reduce bad cholesterol levels and boost heart health. When in combination with potassium, allicin may significantly decrease cardiovascular strain. Chives are also notably effective in reducing the build up of plaques in arteries, which in turn lowers the risk of atherosclerosis, stroke and heart attack. Chives are also known to possess anti-inflammatory properties that slashes the risk of developing rheumatoid arthritis. The herb is also a rich source of vitamin K, which maintains mineral density in the bones. This makes chives an ideal food in preventing the onset of osteoporosis. The herb is also known to boost the immune system, skin and hair health, and wound healing. 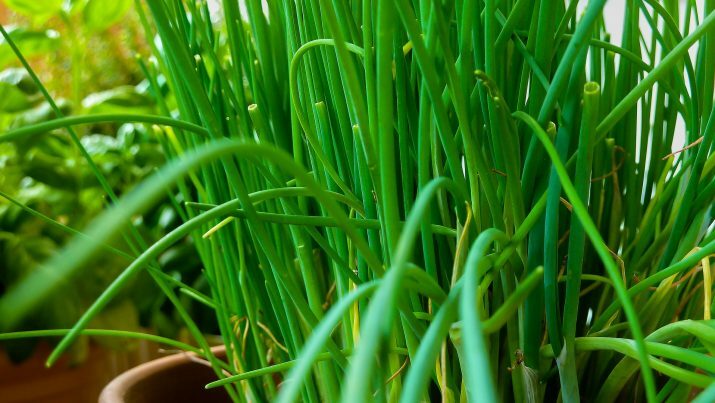 Chives are also known to prevent vision-related conditions and birth defects. Chives benefits the digestive system, the heart and the joints and bones. The herb is also beneficial in maintaining healthy skin and hair. The bulbous plant is also known to boost the immune system and benefit the eyes and the body’s overall health. Chives’ characteristic flavor makes it a staple for many recipes. The herb is primarily used to flavor meat dishes, pastas and even breads. Chives are also used as additional flavoring for certain spreads, dips and sauces. The herb can also be used in various salad recipes. Chives prevent cancer, diabetes, and digestive issues such as constipation, diverticular disorders, and hemorrhoids. Chives also prevent bone disorders and vision-related condition. It also fortifies the body’s immunity and promotes healthy skin and hair. Chives benefits the digestive system, the heart and the bones as well as the eyes, the immune system and the skin and hair.